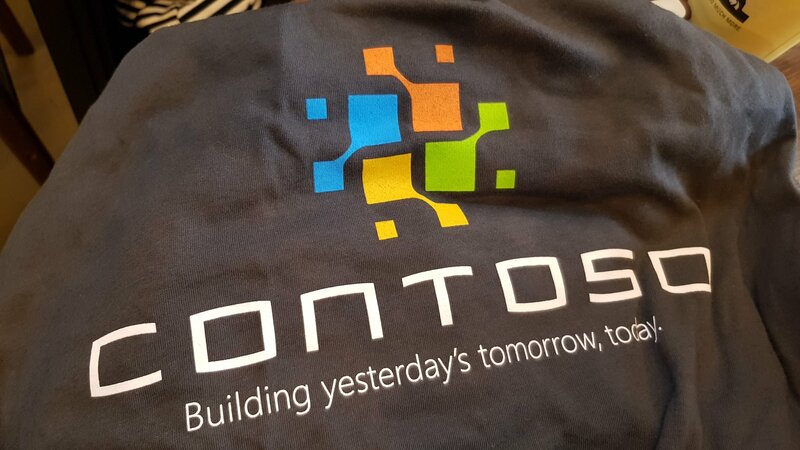 That’s the challenge we faced when Microsoft asked us to develop an identity for their fictional company, known as Contoso. 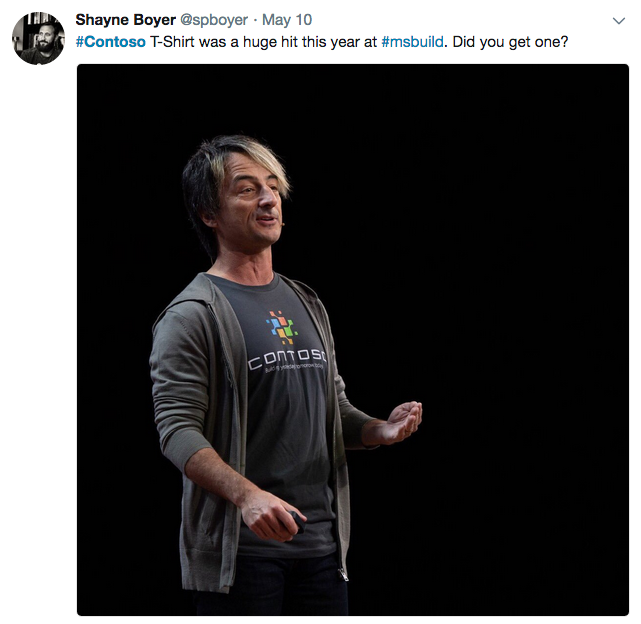 The unveiling would be at Microsoft’s Build 2018 developer conference, to an audience of software developers who are typically skeptical of marketing. You may ask, who cares about a fictional Microsoft company? More people than you’d think. 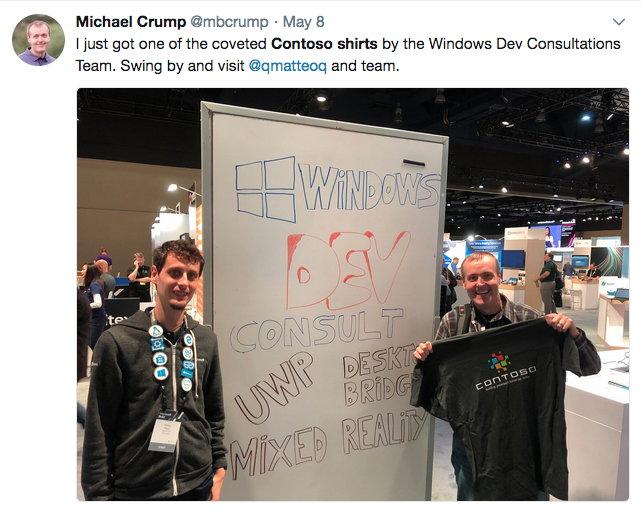 Since Contoso was introduced at a BizApps event in 1998 to showcase Microsoft software, it’s gained a wide and appreciative following. It’s been fondly used for dozens of purposes, has had many evolutions, and garnered thousands of fans. To many, it feels like a real company. And so, creating an identity that fit the brand required just the right mix of irony and realism. Circa. Creating yesterday’s brands of tomorrow, today. 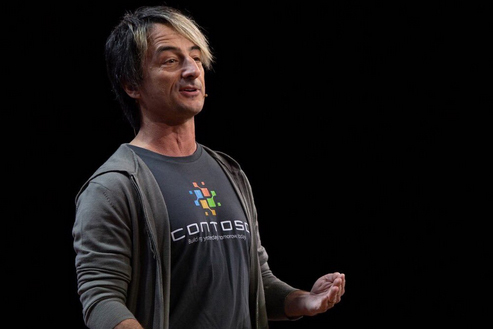 Here you’ll see presenter, Joe Belfiore, wearing the Contoso shirt onstage during the keynote presentation, viewed by hundreds of thousands world-wide. 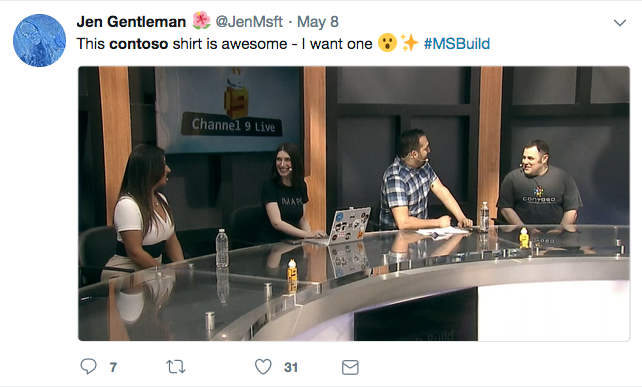 Here’s Kevin Gallo, CVP, wearing a Contoso shirt during his interviews.